In my 20s I drank white wine for several reasons. I ordered the “house white” because I didn’t know anything about wine, it was inexpensive, and I didn’t want to get drunk on the popular cocktails back then: Long Island Iced Teas and Cosmopolitans. 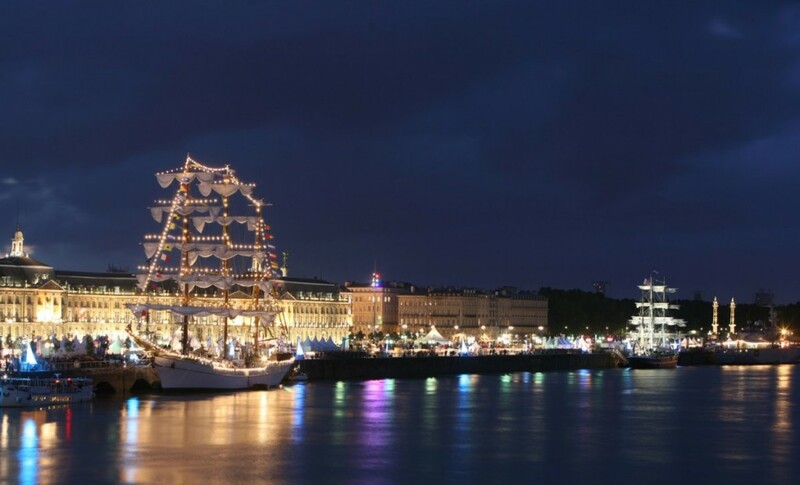 Bordeaux at night for a special event. White wine “Spritzers”, as they were called, worked really well when I spent the entire night on a dance floor and wanted to be refreshed just so that I could keep on dancing. My friends, at least the ladies, did the same. While the menfolk drank the cocktails, we stuck to the wine. Readers that have asked me how I got into wine have brought this trip down memory lane to you. I started much like any other wine drinker. But, lucky for me, I had two wine “epiphanies” that sent me very far away from a lifetime of house wine and spritzers. My future in-laws took us out for a vertical wine tasting at Concannon Vineyard over 20 years ago. As I recall we started with a couple of barrel tastings for the same red varietal, then ended up tasting the same wines finished in the bottle. Doing it this way allowed for me to begin to see the gradual changes being made in the wine, mature fruit, tannins and structure replaced bright fruit and sweetness. My palate, unbeknownst to me as I had yet to learn the right words to describe it, had matured in one afternoon. Fast-forward a couple of years and my future husband Eddie and I were on a vacation in Europe. I was reading the Wine Spectator avidly by this point and anxious to taste French wines in France. One Parisian restaurant/wine bar, Willi’s Wine Bar, was highly recommended by the Spectator, and run by English-speaking vinophiles. That was to be a stop we had to make. I’ve written about our first trip to Willi’s (link: http://www.localwineevents.com/Wine-Articles/424-2.html) and the first time I had my first taste of Lynch Bages Bordeaux. I wish I had written tasting notes back then, but I didn’t. But the epiphany came due to several factors: I was in Paris with my future husband, we were dining at a special restaurant only because of a Wine Spectator review – and we were actively making memories of the night. We have since purchased Lynch Bages over the years, I even found one bottle from our wedding year at Valencia Wine Company that now rests in our cellar. And we recently purchased the ’09 as a future, and discovered that Spectator highlighted it as #93 out of their Top 100 list for 2012. Now, with a career firmly entrenched in all things wine, I have an epiphany yearly. I may discover a new winemaker, a new pal with the same appreciation or one just learning. And, most recently, my website’s editor, Michael Perlis, propelled us into the business of Eve Wine 101 consulting (now Eve Bushman Consulting). Gee…maybe if you’re reading this it’s high time you (or your wine business) had an epiphany? Taste and ye shall find my friend; we’re here to lead you on the proper spritzer-less path.